Only a few months after the closure of their three-star restaurant Hertog Jan at the end of December 2018, Gert De Mangeleer and Joachim Boudens have opened their first new restaurant. It concerns an updated version of their sharing restaurant L.E.S.S.. The new L.E.S.S. by Hertog Jan*** is a worldly inspired eatery where you can satisfy small and large culinary cravings in the well-known L.E.S.S. style. Moreover, the duo has created a stylish and surprising interior by Another Office. L.E.S.S. by Hertog Jan*** has opened its doors on the completely renovated square 't Zand in the heart of Bruges. At the former location of L.E.S.S. -at Torhoutse Steenweg in Sint-Michiel- a completely new restaurant with a focus on the classic Belgian and French cuisine will be built later on, in a new, creative and above all super tasty style. Like all future culinary projects by Gert and Joachim, this new concept will also bear the caption 'by Hertog Jan***'. 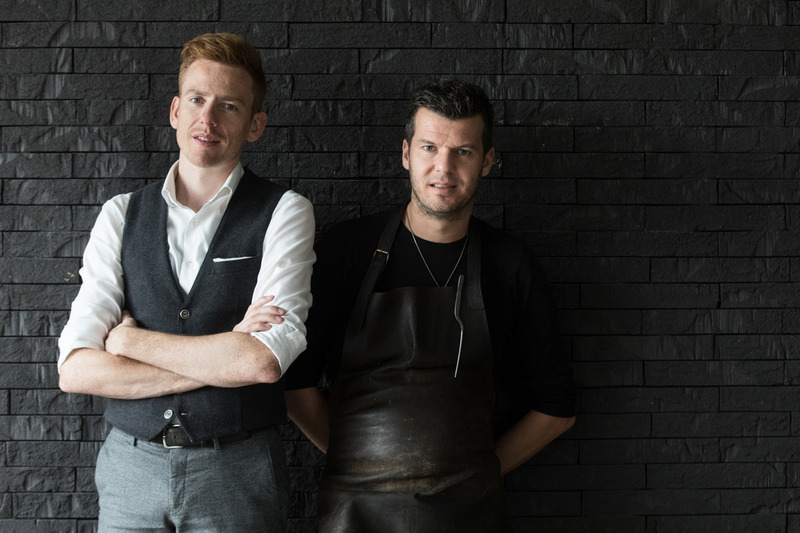 Gert and Joachim certainly don't say goodbye to top gastronomy. They think they can still exceed their level and will occasionally give the best of themselves in the former Hertog Jan farm in the form of very select 'guest tables'. For the occasion it will be given a new, more homely look. Under the name MORE by Hertog Jan*** guests can therefore register at regular released times for a very intimate gastronomic top experience at Gert and Joachim. A maximum of fourteen people will be able to sit down for an unforgettable culinary experience.